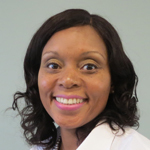 Sabrina Bruce-Rivera, RN was named director of The Peabody Club with Integrace Copper Ridge, a neurocognitive support organization. In this position, she will oversee the daily operations and activities of the region’s only day and night program designed exclusively for neurocognitive support. A registered nurse for 20 years, Bruce-Rivera is an experienced care provider and administrator in assisted living settings. She is a former manager and owner of Grace Manor Senior Assisted Living in Gwynn Oak where her duties included coordinating recreational, social, and physical activities for residents. She has also served as an RN and charge nurse for DaVita Baltimore County Dialysis for the past 10 years.